Coming to you from Nigel Danson, this helpful video will show you how to properly manage color across the entire process of shooting, editing, and printing your photos. 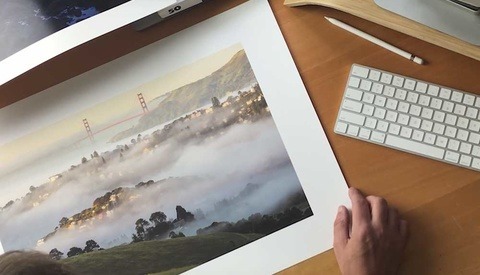 Probably the most common mistake people new to printing their photos make is not paying attention to proper color management. This leads to prints that don't match what was seen on the screen, and that can be a rather costly mistake given the price of ink. Nonetheless, it's not overly difficult to ensure consistency across the entire process, and with just a few straightforward steps, you can generally create a method that helps you get good prints each time. If you want to be able to enjoy your work long after you've finished an edit, printing is a great way to do it; it's also an awesome way to make gifts for family and friends. Davide Barranca, which is Post Production Specialist has In CC - Extensions (https://cc-extensions.com/) a nice tool for ICC Profiling called False Profile (https://cc-extensions.com/products/falseprofile/). It seems very useful in those cases. Write and article so we can read it. Waiting more than an hour for the video and then it "times out" and gets lost well before finishing. An article, I can read. Video - with poor sound quality and my less than optimum hearing is an exercise in futility. YES! If I had a way to filter out all videos and only see articles on Fstoppers, I would. Especially the RSS feed. I don't mind that folks made videos, but I'm hearing impaired already, usually on a mobile device, and want to consume content quietly at my own pace.